Platinum band with 101 diamonds. German link chain, 18 kt white gold. 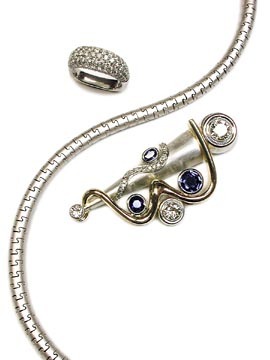 Platinum and 18 kt gold pin, one-of-a-kind, with diamonds and sapphires.